There is also a computer with printer available for guest use free of charge. All rooms and the lobby have free wi-fi. We have all the information you need to visit Rome. 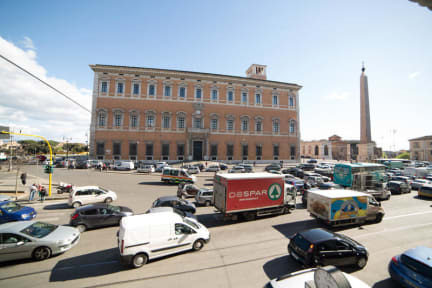 Nika Property is your home in Rome. Nika Hostel is a LGBT friendly property since we are 10 minutes away from the gay street near Colosseum. We have lockers but you need to have your own padlocks to secure your personal things. 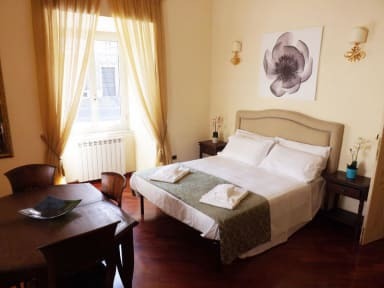 Very cozy hostel in a great location near metro station and walking distance to Colosseum. Nice bathrooms, well equipped rooms. Lovely host who is running the hostel by himself and he is doing everything he can to help you and feel comfortable. Would stay again! The common area only consists of a small kitchen. So it's quite easy to get in touch with other guests. On the other hand, the 6 bed room in my case was spacious and came with a big table. Good for studying. The host was very helpful with the city map and provided some useful advices. The Hostel guy was soo nice and helped us a lot. The Hostel is more than a big flat than a Hostel. Very small but clean and calm. Nika has an amazing location in the city! Marvin is super friendly and helpful and the atmosphere is relaxed, but the hostel is very small. There is no other community room apart from the tiny kitchen which has a capacity of about three people max... We stayed for an extended weekend and had planned on not cooking for ourselves so it was perfect.